Cowell Clarke’s team is recognised as an innovative and experienced team capable of turning around underperforming and distressed businesses and resolving insolvency appointments quickly and efficiently. In light of recent court decisions and the spotlight both of parliament and the Australian Securities and Investment Commission (ASIC) on corporate governance, it is vital that corporate players keep up to date with corporate law, particularly as it relates to insolvency. We offer expert advice in this area. JDC Law is run by Justin Courtney, an experienced legal professional with a background in providing insolvency advice and dealing with complex commercial litigation. Arturo’s practice covers all types of commercial disputes. 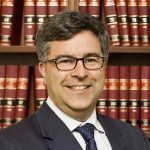 He has particular experience in insolvency, corporations matters, partnership disputes, building and construction, contract, professional negligence, trusts and succession and is a graded arbitrator. Consultant solicitor particularly in relation to administrative law and professional regulation — tax agents, lawyers, auditors and liquidators. I am also a qualified mediator and available for mediations of any description. We are a boutique firm of insolvency accountants with offices in Brisbane and Sydney. Specialising in both personal and corporate insolvency solutions, we pride ourselves on being able to provide you with the highest-quality advice at a reasonable price. At James Conomos Lawyers, we are committed to providing prompt, friendly and personal service combined with high quality, cost-effective solutions. Our experience, knowledge and genuine concern for every case set us apart from other law firms in Townsville and the rest of the North Queensland area. We enjoy every day in the office and pursue our jobs with passion. To be entrusted with the legal affairs of someone else is a great honour. We know what you feel and believe and use this as our motivation to make a difference. The firm has acted for a wide range of clients in insolvency matters, ranging from individuals and company directors, through to large business and corporate clients affected by insolvency issues. We believe in helping Credit Professionals to reach their potential so they will succeed in their careers and achieve better outcomes for their business and the Australian economy. The AICM helps individuals reach their potential through education, professional development, recognition and networking opportunities across all levels and functions of the Credit Industry.